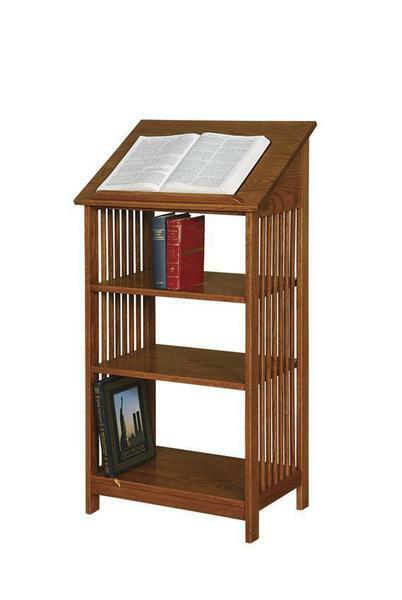 Speak with confidence behind this Amish handcrafted Mission style Podium. Built from strong North American hardwoods for a sturdy frame, this American made podium includes 3 durable solid wood shelves and is sure to provide the support you need to deliver your message with pride. Maximum Book Height: 8 7/8"
Top Shelf: Height - 9"
Middle Shelf: Height - 9"
Bottom Shelf: Height 12 1/4"